NOTE: I try to keep the web site up to date, however, it might not reflect my most recent findings. To exchange and/or share information on this family contact John Wall. John Baird born 1665 in Limberton, Aldlothian, Scotland and died April 1755 (one account states that he died at the age of 90. However, based on the birth and death dates he would have been 105. Obviously something is wrong here.) He lived in Aberdeenshire, Scotland Aug 28, 1683 and was deported from Scotland to America for 4 year's service. Lived near Marlboro, NJ. Its unclear if John Baird had one or two wifes and what their names were. The following is the best guess based on confusing data. Mary Hall (ship wreck survivor). Mary Bedent/Barnard or Bedent/Osborne (a widow from Staines, England). Andrew Baird born 1700 in Topenwmous Monmouth, NJ and died October 11, 1773 in Freehold Monmouth, NJ. He married Sarah Layton born 1705. (See below for more details). William Baird born after 1720 and died 1794 in Morris Co., NJ. He married Margaret O'Riley December 01, 1758. William Baird born 1713 and died 1793. He married Tabitha (Last name unknown). She died before 1785 possibly in NJ. Andrew Baird married Sarah Helridge in 1762. James Baird married Deliverance Bowne. Joseph Baird born 1762 and died 1835. He married Jane VanCleve 1785. Anna Baird married Derwick Banlalaw 1772. 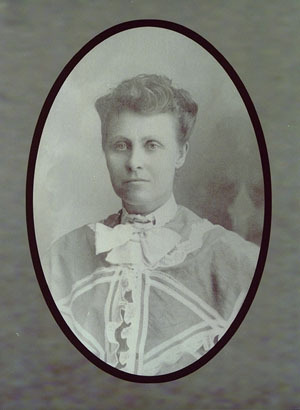 Lydia Baird married Craig (Last name unknown). Sarah Baird married James Tapscott 1772. Zebulon Baird married Lyda Hildrith. Debora Baird married Thomas Hankerson. She died 1848. Rachel Baird born 1722. She married Daniel Logan October 24, 1747 in Monmouth Co., NJ. What is the circumstances surrounding John Baird's deportation from Scotland? Did John have one wife Mary, or two? Bedent Barid born 1727 in Charleston Scholarie Co., NY and married Hulda (Last name unknown). Barzilla Barid born 1729 and married Mary Bullman. Samuel Barid born 1735 and married Susanna Rodgers August 06, 1762 in NY. Ezekiel Barid born 1737 in NJ. He married Susanah Blodgett (See below for more details). John William Barid is thought to have died out west ... where? Where did Ezekiel Baird die? Who was Susana Blodget’s father? One account states Susana Blodget’s father was a volunteer under Gen. Washington (then a Colonel) in the old French War under General Braddock and was killed at a narrow defile near Fort Duquesne. 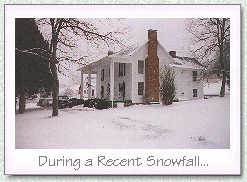 The Baird House is a Bed & Breakfast named after Dr. Ezekial Baird and wife Susanna who built here in 1790. The Baird Family Cemetery is located on the hill behind the Baird House B&B. Susanaha is buried many others are buried here. Photos of family sites in North Carolina/Tennessee and Kentucky. P. William Baird married Nancy Pullman and died May 12, 1837 in Hickman Co., Tennessee. Alexander Baird born April 05, 1804 and died November 21, 1884. He married Nancy Vanderpool (See more details below). David Franklin Baird married Elizabeth Wagner. Jackson Baird married Tempe Shull. William Baird born after 1820 and married Sarah McNab. Susan Baird married James Lorwance. Thomas Carroll Baird died after 1861 in TX. John Baird he married Miss Shupe. Andrew Baird he died in the Civil War. Ann Baird she married William Grimsley. William B. Baird born about 1850. Ezekiel Baird born 1833 or 1834 in NC and married Mary E. Wilson. Phoebe Baird born 1837 or 1838. Elizabeth Baird born 1840 and married Hiram Wilson. Jonathan Baird born 1843 and died in the Civil War. Mary "Mollie" Louise Baird born March 14, 1862 near Nashville, TN (See below for more details). John Robert Baird born October 27, 1865 in TN and died January 09, 1886 Palmyra, Butler Co., KS. William Sherman Baird born 1868 in TN and died September 12, 1878 Palmyra, Butler Co., KS. Benjamin Franklin Baird born April 16, 1870 in Butler Co., KS and died December 04, 1918 in Wichita, Sedgwick Co., KS. He married Ida Ellen Howard July 17, 1889 in Butler Co., KS. James Warren Baird born 1875 and died 1932 in Palmyra, Butler Co., KS. He married Laura Adella Howard. Mary "Mollie" Louise Baird born March 14, 1862 near Nashville, TN and died February 02, 1935 in Wichita, Sedgwick Co., KS.